Friday – Saturday, February 21 - 23, 2019, at 7:30 p.m.
Sunday, February 24, 2019, at 3 p.m. In 1895, Irish playwright, poet, essayist, journalist, and novelist Oscar Wilde, notorious as much for his razor-sharp wit as for his social excesses, published The Importance of Being Earnest, a play that he subtitled A Trivial Comedy for Serious People. This play would go on to be the most widely read, produced, and critically acclaimed of his prolific, though sadly short, career and life. Wilde is required reading for any student of theatre or English literature. He uniquely propels classic, satirical comedy of manners headlong into 20th century realism, laying a foundation for the next generation of comedy greats including Noel Coward, Neil Simon, Woody Allen, and many others. Wilde's impact is far-reaching and for many years, we have been looking for the right opportunity to produce this play. 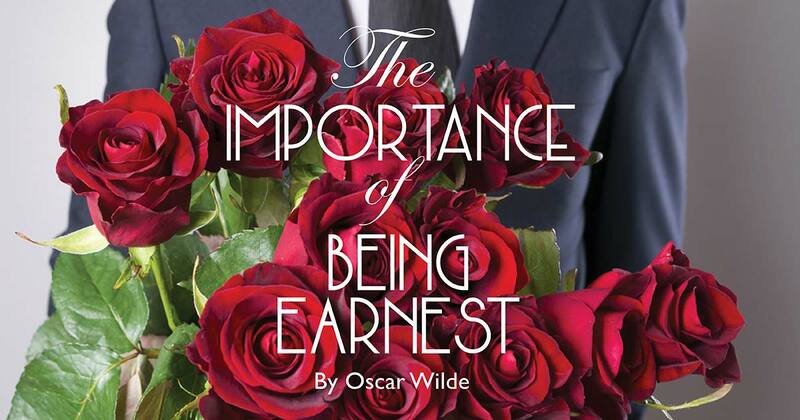 The stars aligned for the 2018-2019 season, and Theatre at Barton is honored to be able to present Oscar Wilde's The Importance of Being Earnest, a play that we subtitle Simply One of the Most Brilliant Comedies of All Time. Sit back and enjoy; and, as with all great satire, we'll get you in the end! Oh, What a Holy Night! 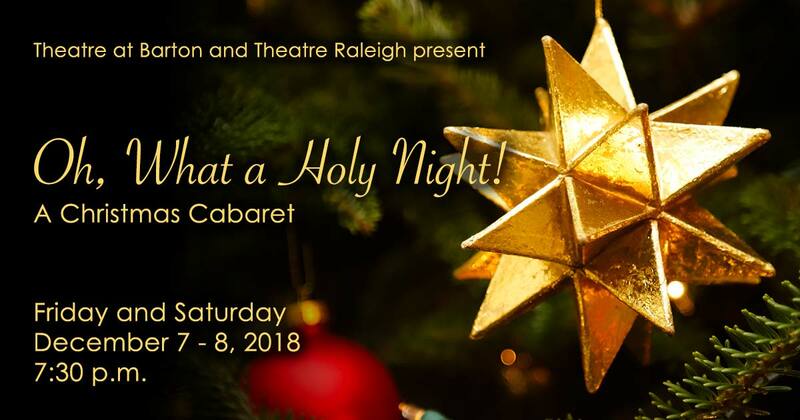 Friday – Saturday, December 7 – 8, 2018, at 7:30 p.m.
Ring in this holiday season at Barton College’s Kennedy Family Theatre with Oh, What a Holy Night, Theatre Raleigh’s very own Christmas cabaret. This evening of festive musical entertainment, sponsored by Theatre at Barton and produced by Lauren Kennedy, will feature a wonderfully talented professional cast of actors, singers, dancers, and musicians. This show is sure to delight the entire family and will brighten our campus for two evenings only, Friday and Saturday, December 7-8, at 7:30 p.m.
Once again Theatre at Barton will be partnering with Toys for Tots during the Christmas season; and tickets for this show are free with the donation of a new, unwrapped toy. Without the toy donation, tickets will be $10 per person at the door. Come and experience the excitement of Oh, What a Holy Night – our 2018 Christmas Cabaret! 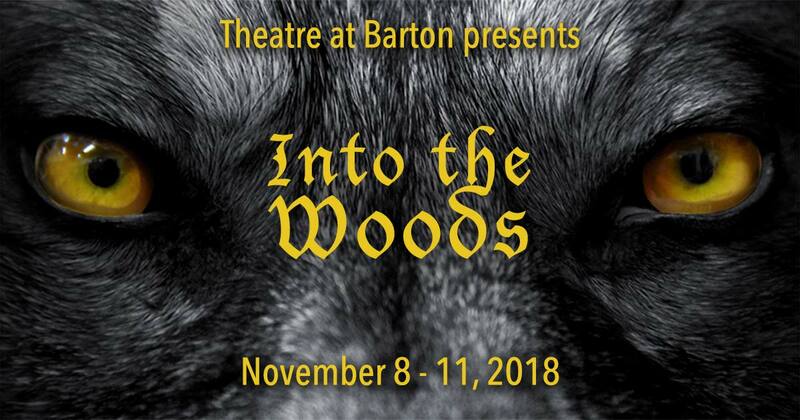 Thursday – Saturday, November 8 – 10, 2018, at 7:30 p.m.
Sunday, November 11, 2018, at 3 p.m.
Take a cow as white as milk, a cape as red as blood, hair as yellow as corn, a slipper as pure as gold; and add a sinister wolf, a raging giant, a pair of lovelorn princes, and a handful of magic beans. Shake vigorously, and you just may have one of the most beloved musicals of our generation! Theatre at Barton College is proud to present the musical masterpiece Into the Woods by Stephen Sondheim. Barton's Artist-in-Residence Sherry Lee Allen directs this outstanding production, which runs for one week only. You may never look at fairy tales the same way again! 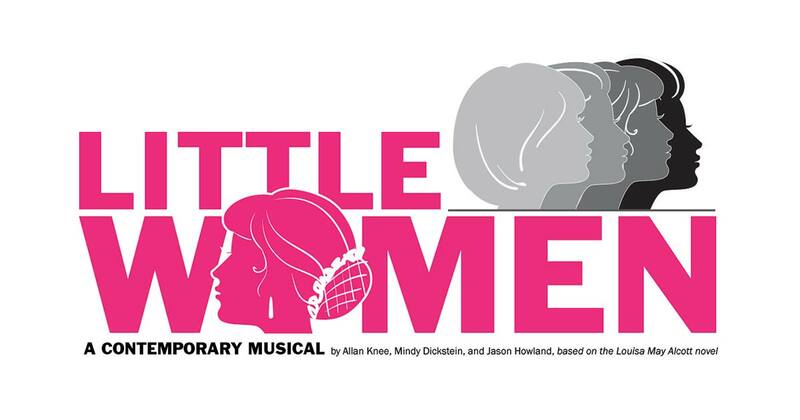 Thursday – Saturday, April 19 – 21, 2018, at 7:30 p.m.
Sunday, April 22, 2018, at 3 p.m.
Theatre at Barton is thrilled to present “Little Women,” a contemporary Broadway musical based on the beloved Louisa May Alcott novel. 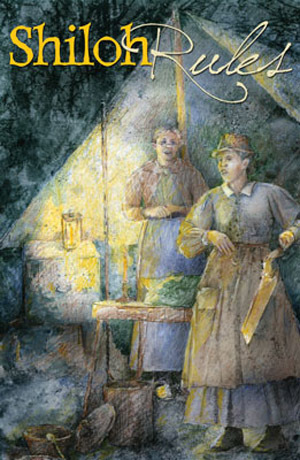 The story of Little Women follows the adventures of the March family, growing up in New England during the American Civil War, contending with career and relationship aspirations, experiencing tremendous joy, and suffering tragic loss. This award-winning musical by Alan Knee, Mindi Dickstein, and Jason Howland captures this tale in a beautiful adaptation to the stage. Barton’s outstanding cast and creative, inspired direction and design will utilize the Kennedy Family Theatre in fresh, imaginative ways. Our intimate setting provides unparalleled story-telling opportunities, and we are seizing every one of them. Friday – Saturday, February 23 – 24, 2018, at 7 p.m. The Kennedy Family Theatre is bursting with anticipation as we prepare for a showcase of student-produced projects along with a one-year anniversary and CD-release celebration for Starboy, one of last year’s fine musicals from our New Works Festival. On February 23 – 24 at 7 p.m., we have seniors Courtney Perez and Micheala Howell performing their delightful “Capstone Cabaret” followed by a short series of 10-minute plays directed and performed by Barton students. We wrap up the evenings with a few selections from Starboy, the new musical by Ray Shell and Chris Van Cleave, first heard last year at Barton, then recorded at our Sara Lynn Riley Kennedy Studio and featuring the talents of many students, alumni, faculty, and local Wilson singers. These performances are free to the public and should not be missed! Discussions with the artists involved will follow each performance. We invite you to join us for the 2018 New Works Festival and Student Showcase! Friday - Saturday, December 8 - 9, 2017, at 7:30 p.m.
Theatre at Barton closes out the 2017 calendar year with an encore presentation of last year's holiday hit, A Christmas Cabaret! These performances of classic holiday entertainment will brighten Barton's Kennedy Family Theatre stage for two nights only. A Christmas Cabaret will help the whole family ring in the season and promises to be a welcome diversion for our students as they finish with classes and tumble headlong into finals! Come and join our talented Barton students, faculty, staff, and community members on this festive evening of song, dance, and the occasional shenanigan - and if you have a mind to join in, you will have opportunities! Fun and festive attire is encouraged, but certainly not required. Come and experience the excitement of A Christmas Cabaret! Saturday, October 14, 2017, at 7:30 p.m.
Sunday afternoon, October 15, 2017, at 3:00 p.m.
World War I certainly has its share of plays and time-honored epics, but in searching the archives, we discovered an unexpected and delightful gem by renowned playwright and novelist, J.M. Barrie, of Peter Pan fame. Barrie wrote a collection of short one-act plays that he titled Echoes of the War. These inspirational reflections on war and its toll on the human condition are heart-wrenching, touching, witty, and, dare I say, sassy—a combination rarely found together and one that showcases a master at his best. 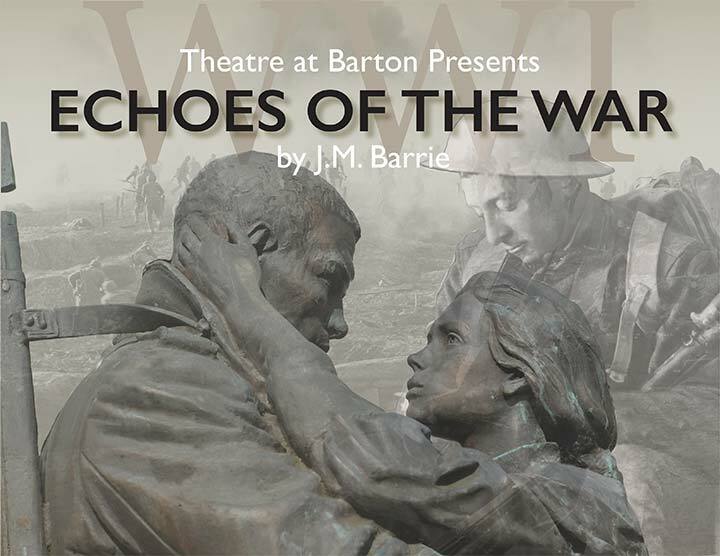 Theatre at Barton is delighted to offer this rarely performed collection of beautiful short plays in memory of all who fought for freedom and justice in World War I, and as tribute to those who continue that fight today. Thursday - Saturday, April 20 - 22, 2017, at 7:30 p.m.
Sunday afternoon, April 23, 2017, at 3:00 p.m.
Barton College launched a concentration in Musical Theatre four years ago. Since that time, Theatre at Barton has developed and showcased some wonderfully talented students, while maintaining a level of excellence almost unheard of with such a young program. 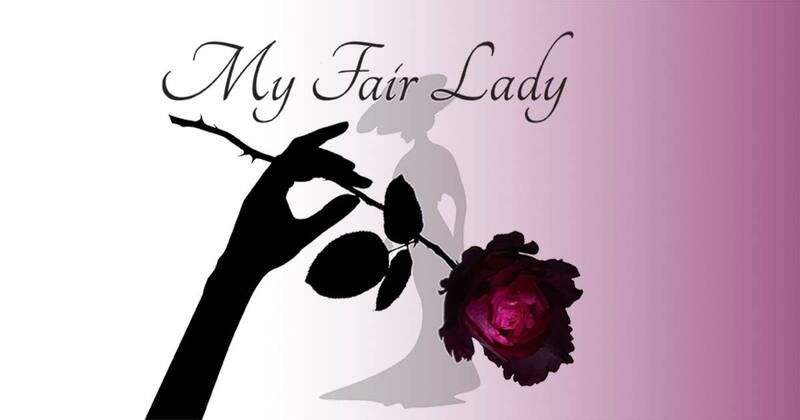 This year, we have challenged ourselves to tackle one of the classics of the genre and arguably the most beloved musical of all time, My Fair Lady, adapted from George Bernard Shaw's Pygmalion, with music by Alan Jay Lerner and Frederick Loewe. This beautiful, witty, and, at times, scandalous Cinderella story is rife with social insight and commentary. It concerns Eliza Doolittle, a common, lower-class Cockney flower girl in London, who desires to elevate her social status through speech lessons with Professor Henry Higgins, a phoneticist and prescribed bachelor. This show is an enormous undertaking for any theatre company and an outstanding benchmark for Barton's theatre program. The music and the dialects are contagious and will most certainly be heard throughout our campus for weeks after the show closes. We could not be more pleased to present My Fair Lady at our Kennedy Family Theatre! One of the most rewarding activities theatre students and professionals have the opportunity to take part in is the development of new material. Each collaborative artist has a stake in the project and an enormous sense of responsibility to the process. Most successful plays and musicals are developed through this type of workshop. It can take years to be ready for professional-level production, but they all start someplace; and, this year, the Kennedy Family Theatre will host an exciting series of staged readings we’re calling the New Works Festival! During February 23 - 26, we have three unique, new musicals by local and affiliated artists and alumni, as well as an intriguing performance, devised from the remarkable poetry of Sam Ragan. This piece, Sam Ragan, Inside the Poetry, is written and performed by his daughter Talmadge, along with other artists, and will be co-produced by Barton’s English Department. We are seeking to be "an incubator of creativity." Half of these pieces are being heard for the first time; the others have had previous readings and are in further development. Each performance will be followed by a “talk-back” session, in which the audience will be encouraged to share in the development and discuss the material with the writers and actors. Saturday & Sunday, February 25 & 26, 2:00 p.m.
Theatre at Barton closes out the 2016 calendar year with a celebration of the season in our first-ever Chistmas Cabaret! This evening of holiday-themed entertainment takes place on December 9 at 7:30 p.m. in Barton's Kennedy Family Theatre. Sure to delight the young and old alike, A Christmas Cabaret promises to be a welcome diversion for our students as they finish with classes and tumble headlong into their finals! Come join our talented Barton students, faculty, staff, and community members on this festive evening of song, dance, and the occasional shenanigan - and if you have a mind to join in, you will have opportunities! Fun and festive attire is encouraged, but certainly not required. Thursday - Friday, October 20 - 21, 2016, at 7:30 p.m.
Saturday - Sunday, October 22 - 23, 2016, at 3 p.m. Since the opening of our Kennedy Family Theatre in 2009, Barton's performing arts programs have had a fitting home to produce and perform high quality material; and each year as we are rehearsing over Homecoming Weekend, I have to break the news to former Stage and Script members and other enthusiastic alumni, that they will have to be satisfied wandering through the building and watching a rehearsal because the timing was not right for mounting a full-scale production in late-October. This year, we challenged ourselves to re-think that possibility; and, indeed, it's all in the aforementioned "timing." Theatre at Barton follows up our hit musical collaboration with Theatre Raleigh, Million Dollar Quartet, with an outrageous, witty collection of short comedies by award-winning American playwright, David Ives. All in the Timing was first produced in 1993 as six uniquely quirky, situational plays, which were then expanded to 14 plays for a 2013 revival. We took this marvelous lot, coupled it with David Ives' follow-up, Time Flies, for a collection of 28 short pieces, then set eight equally unique and quirky directors (alumni, faculty, community members) to work reviewing the plays and considering which of the 28 pieces they might direct as part of an outstanding evening of entertainment here at Barton. The result is an extraordinary, engaging performance that enlists talent from every quadrant of our campus, as well as from our community, a fitting approach to a work of theatre offered for the very first time on Barton's Homecoming Weekend! This show is dedicated to the Stage and Script pioneers, who kept the flame lit for so many years, until we could catch up and craft a program around their vision! 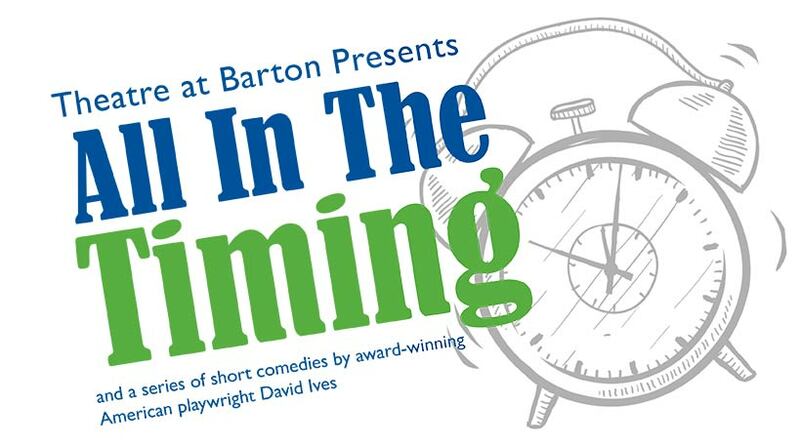 Enjoy this delightful production of All in the Timing! Thursday - Saturday, September 1 - 3, 2016, at 7:30 p.m.
Theatre at Barton is pleased to offer the Tony Award-winning Million Dollar Quartet as our annual, season-opening collaboration with Lauren Kennedy and Theatre Raleigh! This fantastic, juke-box show has been touring the nation and raking in the rave reviews. Theatre Raleigh's outstanding cast will have the Kennedy Family Theatre on Barton's campus rockin' and rollin' for three wild nights! This show will be a treat for all ages, and we can't think of a more enjoyable way to kick off the semester! Million Dollar Quartet is the Tony Award-winning Broadway musical inspired by the true story of the famed recording session in which Sam Phillips, the "Father of Rock 'n' Roll," brought together icons Johnny Cash, Carl Perkins, Jerry Lee Lewis, and Elvis Presley For one unforgettable night. On December 4, 1956, history was made when these four young musicians gathered at Sun Records in Memphis for what would be one of the greatest impromptu jam sessions ever. It brings to light the extraordinary story of broken promises, secrets, and the once-in-a-lifetime celebration of four friends that is both poignant and heartwarming. Million Dollar Quartet brings that legendary night to life, featuring a score of rock hits including "Blue Suede Shoes," "Fever," "That's All Right," "Sixteen Tons," "Great Balls of Fire," "Walk the Line," "Whole Lotta Shakin' Goin' On," "Who Do You Love?," "Matchbox," "Folsom Prison Blues," "Hound Dog," and more. This thrilling musical brings you inside the recording studio with four major talents who came together as a red-hot rock 'n' roll band for one unforgettable night. Don't miss your chance to be a fly on the wall of fame -- at MILLION DOLLAR QUARTET! Thursday & Saturday, April 21 & 23, 2016, at 7:30 p.m.
Sunday Matinee, April 24, 2016, at 3:00 p.m.
For millennia, theatre has been a principle means of showcasing man’s heroic nature, while exposing his tragic flaws. Since antiquity, theatre and dramatic literature have been rife with satire, providing a generally comedic platform for discourse on our ironic tendency toward self-serving extremes. As we tumble headlong into a season of political punditry, positioning, and platitudes, what better diversion than one of theatre’s most deliciously scandalous and salacious plays, by arguably the greatest satirist to ever put quill to paper? 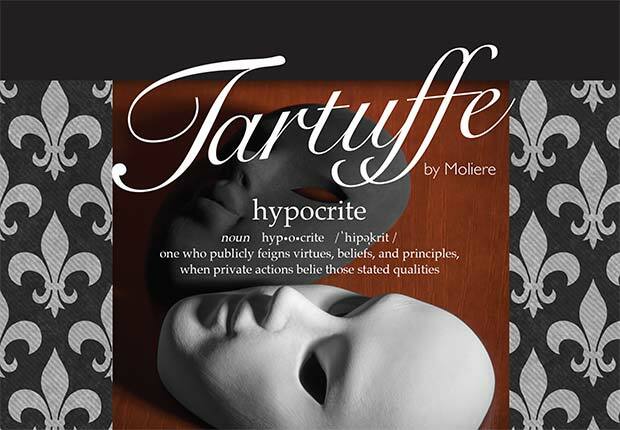 Theatre at Barton is pleased to present Tartuffe, by Moliere! Moliere, born Jean-Baptiste Poquelin, premiered Tartuffe in 1664. The resulting outcry from the Archbishop of France closed down the theatre instantly. Only the intercession of King Louis XIV kept Moliere from imprisonment and excommunication. This bold "sit-com" depicts a well-heeled family, split over the nature of their guest, a priggish, pious, pretender, whose sanctimony is suspect. Exposing this hypocrite for what he is takes cunning and risk, but can it be done before all is lost? You’ll have to come and see for yourself! This outstanding play provides a wonderful opportunity for both actor and audience to gain exposure to classical, renaissance literature; to recognize that, in our media-rich world, many of the most entertaining and satisfying stories remain simple reflections of the human condition, constant through the centuries. We invite you to join us and share in this remarkable event ... though you may be risking imprisonment and excommunication! Thursday - Saturday, November 12 - 14, 2015 at 7:30 p.m.
Sunday Matinee, November 15, 2015 at 3:00 p.m.
Thursday - Saturday, November 19 - 21, 2015 at 7:30 p.m.
“All you need is faith, trust, and a little bit of pixie dust.” Let Theatre at Barton and The Playhouse of Wilson take you away to Neverland, for a special co-production of Peter Pan. This classic of 20th century musical theatre opens to the public on Thursday, Nov. 12 at 7:30 p.m., at the Edna E. Boykin Cultural Center on Nash Street in historic downtown Wilson. Evening performances continue through Saturday, Nov. 14, and resume on Thursday, Nov. 19 through Saturday, Nov. 21. An afternoon matinee will be held on Sunday, Nov. 15 beginning at 3 p.m. Tickets are $12 and available at the door, or may be reserved in advance from the Arts Council of Wilson, 124 Nash St. Wilson, (252) 291-4329. For additional information, please contact Adam Twiss, Director of Theatre at Barton College: (252) 399-6484 or ajtwiss@barton.edu. Barton's Resident Artist-in-Musical Theatre, Sherry Lee Allen, takes the helm as director and choreographer, assisted by Trish Bradshaw, owner of Studio B in Wilson, with musical direction by Mark N. Peterson, Director of Music at Barton and Conductor of the Barton College/Wilson Symphony Orchestra. Allison Dellinger is stage manager, Chris Bernier is both scenic and lighting designer, with Jane Cookson designing costumes, and Michael Johnson designing hair and makeup. Hampton Short is sound designer, and Brittany Argall and Adam Twiss share the properties design. Wilson and Barton's own Jess Jones has taken on the fight choreography and captains the flight team. Many new faces will be seen on the Boykin stage, including Barton freshman Ashlee Keefe as Peter, and Broadway veteran actor Dirk Lumbard as the legendary villain, Captain Hook. Over the past seven years, Theatre at Barton has undertaken no fewer than two collaborative projects each season. These productions have been held on campus, in downtown Wilson, Rocky Mount, and Raleigh, and have included classical works, contemporary productions, dramas, musicals, and original works. 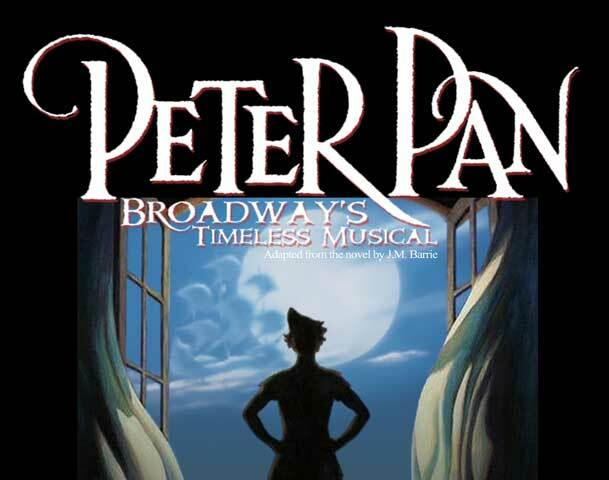 Peter Pan is presented with support of the Arts Council of Wilson. 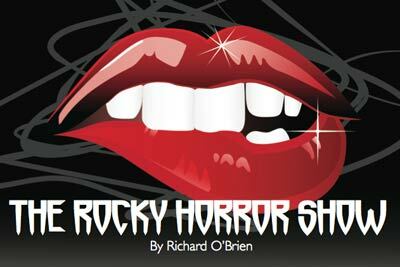 It is with great (and guilty) pleasure that Theatre at Barton presents The Rocky Horror Show, by Richard O’Brien, to wrap up our successful 2014-2015 season! This romp of a campy, rock and roll classic premiered in 1973 in London’s West End, running there, in Los Angeles, and on Broadway until 1980. Along the way it spawned a cult following, as well as the renowned 1975 film version, The Rocky Horror Picture Show, which is still regularly shown in theatres across the nation and remains the longest running film in history. The show has enjoyed several major international tours and a very successful, star-studded Broadway revival in 2000. Response to the show has been staggering; we have assembled an incredibly talented group of students and community members, led by director Sherry Lee Allen, our Musical Theatre Artist in Residence. The show crosses generational boundaries (a few other boundaries as well); characters are bold, iconic, and dangerous; the music is dynamic and contagious, and neither Barton College nor Wilson has ever seen its like. The audience will be challenged to check preconceptions at the door and come prepared to join the party; feather boas and fishnet stockings are acceptable fashion for all in attendance! A unique hallmark of the artistic programming at Barton College might be summed up with the term “collaborative”. Collaboration across disciplines, community and cultural boundaries, and between mentors and students is essential to any successful arts program, and makes for a far more enriching experience for all involved. Theatre at Barton has consistently been a collaborative partner with many community and professional theatre practitioners and companies; capitalizing on the wealth of knowledge and talent in our region, gleaning for participants in our program, while enhancing the material we offer on our stage. 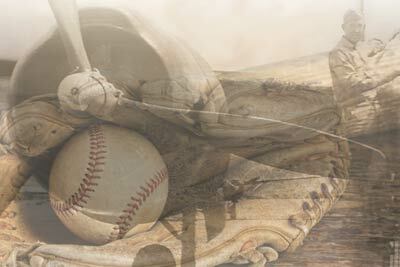 With Hangar Flying: Reflections on War and Baseball, our theatre program once again embarks on a collaborative effort to adapt an intriguing historical novel to the stage as a world premiere. This book by Barton Associate Professor of Art Gerard Lange is a rich, war-time tapestry, woven from the memoirs and anecdotes of family members both real and imagined. The light-hearted, poignant epic takes us on a journey through World War II and Korean combat, where characters gain insight into culture and personal humanity through a shared international touchstone of baseball. We invite you to embark on this historical journey and join us at the Kennedy Family Theatre to launch this vital new work! We hope you will be able to join us to kick off the Theatre at Barton 2014-2015 season and celebrate 10 years of Theatre Raleigh/Hot Summer Nights success! Since opening our new theatre in 2009, Barton has had the great fortune of working closely with incredible Broadway and regional talent. Through the generosity of our Theatre at Barton family and our co-producers Theatre Raleigh (formerly Hot Summer Nights at the Kennedy), we have been able to mount world and regional premiere plays and musicals, as well as star- studded concerts right here in Downtown Wilson! 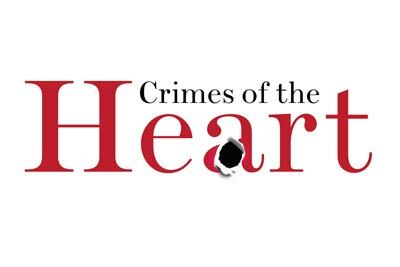 This year, we continue the tradition with an encore presentation of Theatre Raleigh’s stellar 10th season finale, Crimes of the Heart, a Pulitzer Prize winning, dark-Southern comedy by renowned playwright Beth Henley. At the core of this contemporary classic are the three MaGrath sisters, Meg, Babe, and Lenny, who reunite at Old Granddaddy’s home in Hazlehurst, Mississippi. They must collectively contend with recent events that conspire to topple the already dysfunctional lives they lead. Past resentments bubble to the surface in connection to the cadre of intriguing characters and awkward situations they confront … all the while coping with this latest incident that has disrupted their lives. The cold-war years following World War II had a remarkable effect on world drama and spawned numerous works, “apocalyptic” in nature. Renowned American playwright Clifford Odets, recognized for metaphorical conflict and fiery, left-wing rhetoric, chose a unique and unexpected approach to this theme; he wrote a heartwarming and outrageously funny retelling of the Noah’s Ark story titled The Flowering Peach. This 1954 play was to be Odets’ last; the work was posthumously adapted into the wonderful musical, Two by Two, by the celebrated team of Richard Rogers (Oklahoma!, The King and I, The Sound of Music, etc. ), Martin Charnin (Annie) and Peter Stone (1776, Titanic), and starred Danny Kaye. 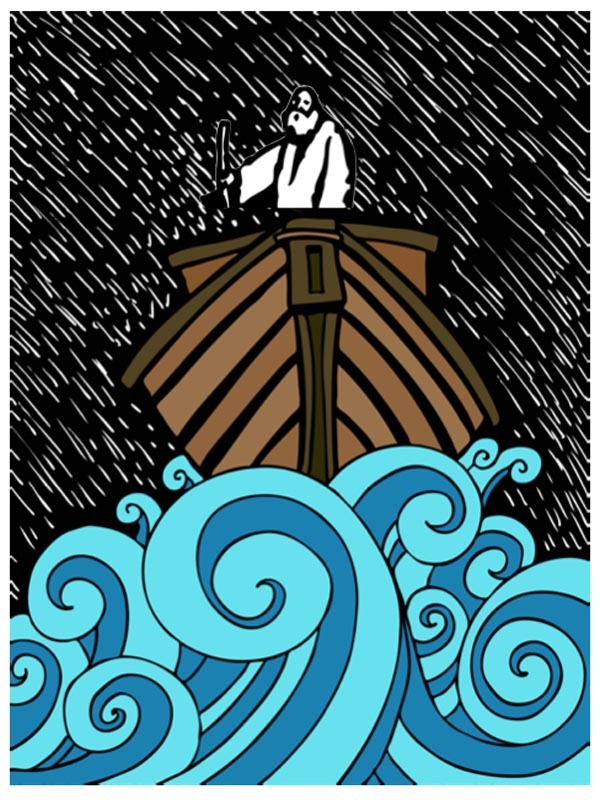 Imagine a crotchety, comfortable 600-year-old Noah being informed that he was going to have to build an ark, larger than anything ever conceived of, as a means of saving the human race … not to mention all land animals. Then imagine Noah springing that on his very average, dysfunctional family and encouraging them to assist, in spite of all the grief they receive from the neighbors and the town. This is where our story begins, and we invite you to join us at the Kennedy Family Theatre to share in the fun, the antics, the enchanting music … and perhaps grab a hammer and pitch in! It is indeed an honor for any actor of any generation to perform works from the canon of William Shakespeare. Born in 1564 in Stratford-upon-Avon, England, Shakespeare was a successful playwright and a staple in Elizabethan London theatre from 1585 until his retirement to the country in 1613, where he passed away in a most anticlimactic fashion in 1616, leaving the world with a collection of some 38 brilliant dramatic works. 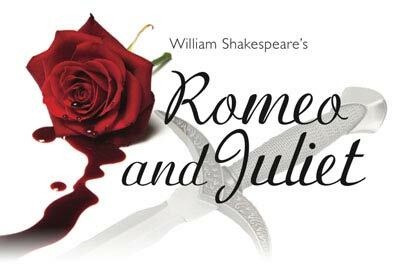 Romeo and Juliet is perhaps the best known and most performed of Shakespeare’s marvelous tragedies. It is the quintessential story of star-crossed lovers who meet an untimely end, leaving the world to mourn their loss and reconsider their own actions that led to the tragedy. This is a project that we have been eagerly waiting to tackle at Barton; and, this year, we have the opportunity to collaborate with Rocky Mount’s Imperial Centre Theatre to produce our first “touring production” and make this dream a reality. Join us on this fantastic journey into classic drama … with a contemporary twist! Oh, What a Night III! Barton College is pleased to kick off the season with outstanding, professional theatre programming at the Kennedy Family Theatre. Each year, our partnership with Theatre Raleigh/Hot Summer Nights atThe Kennedy provides opportunities for students and members of the Greater Barton Community to attend (and even participate in) theatrical offerings from the region’s hottest theatre company. Two years ago, we created a unique concert event as part of the Hot Summer Nights Season and brought it to Barton for two sold-out performances. Oh,What A Night! was originally conceived of as a tribute to Broadway musicals far too large for the intimate confines of HSN’s Kennedy Theatre in Raleigh. Before the first note was struck, all seats were sold and theatre management was begging for the show to move to the considerably larger Fletcher Opera Theatre, which has since become home to half of the stunningly successful Theatre Raleigh/HSN season! 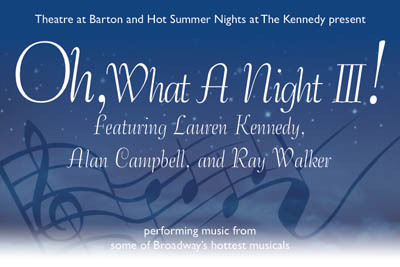 This year, we are pleased to bring this concert back to Barton as Oh,What A Night III! kicks off Barton’s theatre season in grand style, with an encore performance in the Kennedy Family Theatre. The performances will showcase a whole new crop of songs from all the BIGGEST AND HOTTEST musicals on Broadway and will feature fantastic local talent alongside outstanding Broadway veterans, Lauren Kennedy, Alan Campbell, and Ray Walker! The concert is sure to be stunning and is appropriate for all ages. Help us ring in a new season and celebrate the performing arts at Barton! Take a summer home in Connecticut in 1931. Add one wealthy spinster, her Cockney maid, an old butler, a beautiful niece, a young man, a suspicious gardener, a hard-boiled detective, assorted gunshots, and a dead body. Gently stir, and you’ve got the makings for a delightful night of theatre! This clever, campy script crosses multiple theatrical genres and spins it’s bold, farcical tale around a classic, Agatha Christie-style murder mystery. The show brings renowned Raleigh-based director and choreographer Sherry Lee Allen to Barton College for a brand of outrageous comedy not seen on this campus in recent years. 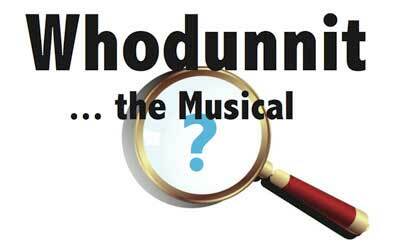 We are pleased to have you join us for Ed Dixon’s Whodunnit, the Musical! “Dying is easy… comedy is hard!” This acting maxim has been attributed to performers from Edmund Kean in the late 1700s, to Peter O’Toole in the 1980s. And, as with many crass, snarky adages, it remains in circulation because there is a great deal of truth to it. Another favorite quote is “Comedy is tragedy, plus timing.” This is a personal favorite because I feel that the best comedy develops out of a darker reality, and relies on irony to resonate with the audience. Our theatre students are ready for the challenge that a bold, contemporary comedy presents. 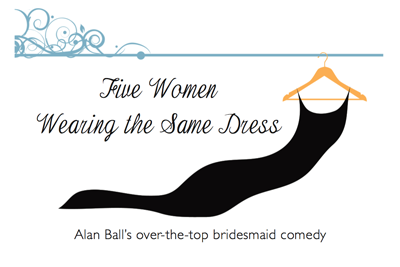 Alan Ball, an Oscar, Emmy, and Golden Globe winning writer, has provided the platform with his bridesmaid comedy, Five Women Wearing the Same Dress. Set during an elaborate wedding at the bride’s home in Knoxville, Tennessee, the five bridesmaids find refuge in the room of Meredith, the sister of the bride. Outrageous stories and experiences are disclosed, resolution and bonding ensues, but along the way, the breakdowns and hilarity will leave our audience in stitches. I give this a rating of PG-13 for adult situations and the language used, so discretion would be advised for our audiences. I am delighted to have you join us for this terrific show! This year’s theatre season leads with a fantastic comedy starring Broadway veteran and friend of Theatre at Barton, Lisa Jolley, as the legendary, incapable coloratura, Florence Foster Jenkins, in this marvelous new work by Stephen Temperley. Jenkins was a prominent heiress who believed that she understood better than anyone else how to properly sing – and set out to prove it. This is a bittersweet comedy of recollection, in which her longtime accompanist, Cosme McMoon, recalls lovingly what it was like to play alongside this bold character for so many years. Our “comedy with music” is a show for all ages and will be a grand opening for our theatre season! 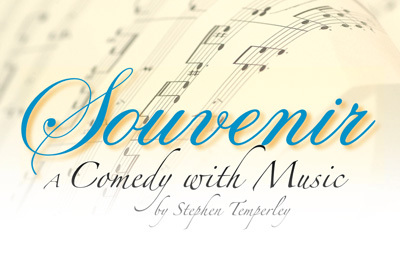 We look forward to having you join us for this wonderful Theatre at Barton production of Souvenir. Though not unprecedented, it is certainly unusual for a theatrical piece to originate from the medium of film rather than literature. In 1996, a simple, daring motion picture won the hearts and imaginations of audiences at the Sundance Film Festival, garnering numerous awards and receiving the highest price ever paid for the rights to an independent, feature film. That film, The Spitfire Grill, intrigued musical duo James Valcq and Fred Alley to develop the story as a musical for the stage; and, in 2001, the show opened to standing ovations and numerous awards on Broadway. This is a uniquely American tale of fall and redemption, value of community, and love lost … and found. The storytelling and the music are seamlessly integrated, and guest director Bryan Pridgen has assembled an outstanding company for our Barton production. This heartwarming show has been on our radar for a number of years; it’s a musical that we thought would fit exceptionally well in Barton’s intimate Kennedy Family Theatre. This year the stars finally aligned and provided the opportunity to produce this wonderful work. We could not be more pleased and honored to present it to you. One tiny, little spoiler alert: If you are familiar with the film and not the musical, you can expect one ENORMOUS change from screen to stage! 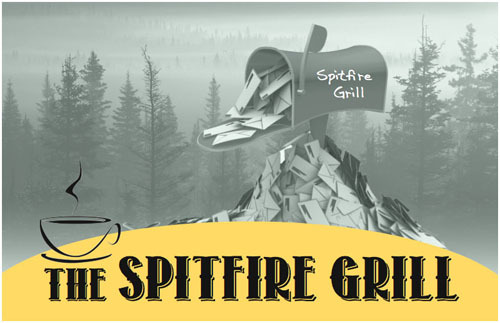 We look forward to having you join us for this wonderful Theatre at Barton production of The Spitfire Grill. In the latter part of the 19th century, a new sensibility was emerging in theatre circles. No longer would audiences be satisfied with bombastic storytelling and rhetoric; fading were the broad gestures and exaggerated expressions of melodramatic fare, as well as the over-the-top, stock characters of comedy. This new style would become known as “dramatic realism.” It sought to create believable circumstances onstage – real characters with real motivations. The impact was immediately profound. Empathy became the quintessential measuring stick of successful drama, which, in turn, changed the very course of Western theatre. 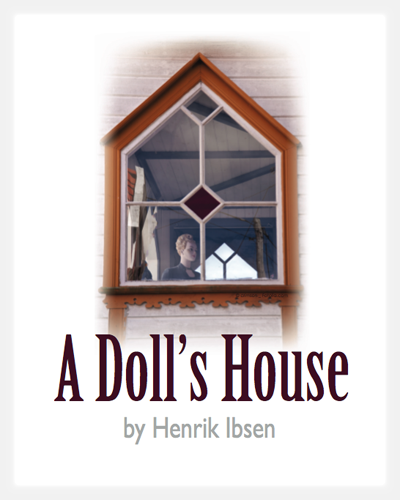 Presenting one of the iconic plays from the canon of dramatic literature is a privilege for any theatre, and Theatre at Barton is pleased to present one of the most controversial pieces of its time, A Doll’s House, by the recognized “father” of dramatic realism, Norwegian playwright Henrik Ibsen. Though the content seems relatively tame by our contemporary standards, this play was simultaneously called feminist, amoral, atheistic, and incited riots throughout Europe in the late 1870s. Theatre at Barton is proud to present this outstanding play – with the sincere hope that no riots break out! A star-studded concert of Broadway selections from shows too big to be fully mounted on the Hot Summer Nights or Barton stages! 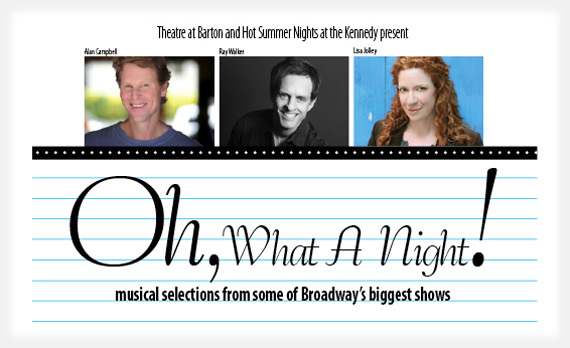 Produced by Lauren Kennedy and starring Alan Campbell, Ray Walker, Yolanda Rabun, and a host of talented performers from the stages of Broadway and Hot Summer Nights at the Kennedy, this is a fantastic way to wrap up a Hot Summer Nights theatre season and kick off Barton’s! This strikingly original play mixes comedy, history, and drama to great effect. Shiloh Rules is set on the famous battlefield, but in the present day rather than in 1862. Two veteran re-enactors, a mysterious Southern refugee and a no-nonsense Northern nurse, have a long and checkered history at Shiloh. Their feud stirs the passions of young trainees each is introducing to the battle. The mayhem that results draws in a park ranger patrolling the battlefield who, as an African-American woman, would rather be anywhere else than in the middle of the Civil War. As the re-enactment rages out of control, the players discover that some conflicts of the War Between the States weren’t left behind in 1862. A musical by Rupert Holmes adapted from Charles Dickens’ The Mystery of Edwin Drood, this wildly warm-hearted theatrical experience kicks off with our actors playing actors playing characters in a flamboyant rendition of an unfinished Dickens mystery. The story itself deals with John Jasper, a Jekyll-and-Hyde choirmaster who is quite madly in love with his music student, the fair Miss Rosa Bud. Now, Miss Bud is, in turn, engaged to Jasper’s nephew, young Edwin Drood. 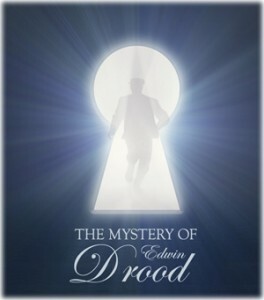 Our title character disappears mysteriously one stormy Christmas Eve – but has Edwin Drood been murdered? And, if so, then whodunnit? The giddy playfulness of this play-within-a-play draws the audience toward one of Drood’s most talked-about features: the vote, which allows the audience to choose the solution to the mystery as prelude to the most unusual and hilarious finale! A journey of horror and hubris beckons you. Embark on one of the most frightening and enduring tales of all time, William Shakespeare’s The Tragedy of Macbeth. 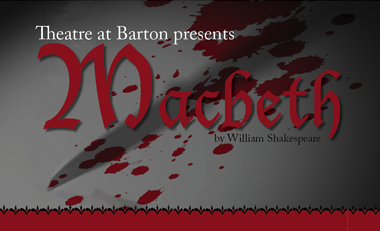 Written in the early 1600′s, the play centers on a proud and powerful military leader, Macbeth, who will stop at nothing to attain and keep the crown he so covets. Witches, ghosts, prophecy, and murder converge “upon the heath,” making for a spellbinding evening of theatre!